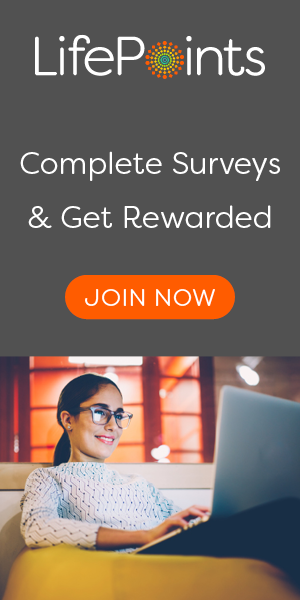 By becoming a member of the Hiving Survey Panel you will be able to [participate in online surveys, polls and product testing in return for Hiving Points. Once you have accumulated 4000 points in your online account you can cash out for £4 cash which is sent directly to your Paypal account. If you don’t live in the UK then the cash reward will be sent in your local currency. If you decide to then you can save your points in multiples of 4000 and cash out 8000 for £8 or 12000 for £12. Earn cash via Paypal: For completing surveys and testing products you are rewarded with Hiving Points. These points can be converted to cash via Paypal with a very low payment threshold of just 4000 for £4. You can alternatively save your points and redeem £8 or £12 cash for 8000 or 12000 points. Hiving is a survey panel based in Paris, France that is available to new members in over 20 countries around the world. The panel was originally launched in 2009 with a few thousand members but since then has grown substantially and is now almost available worldwide. Their online opinion surveys are designed to help companies and organisations to improve their products / services and make a difference to future trends. To get started on the panel you need to fill in the short sign up form on their website and agree to their terms and conditions. Within the registration form you will also be asked some lifestyle / profile questions that will enable you to receive more paid surveys from them in the future. To speed up the registration process you can login with your Facebook account if you choose. Once you are a member you can log directly into your member’s area. From the member’s area you can take part in short polls, modify your personal details, view your balance and most importantly view the surveys that are currently available for you to take. You can also complete some more specific profile questions on your hobbies, finances, car and other interests. You should login to your member’s area regularly to check for new surveys. As well as taking surveys through your account you will sometimes be sent an email to participate when a survey becomes available. 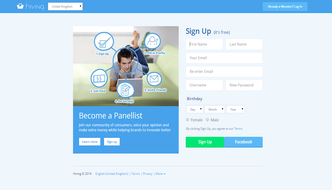 As well as earning points through online surveys you can also refer your friends to the site. Your referral link can be found within your member’s area. For each friend that you refer you will earn extra points every time they complete a survey. Eligibility: Available in 20 countries worldwide. Must be aged 15+ to join. Anyone aged 15 – 18 requires their parent’s / guardian’s permission.